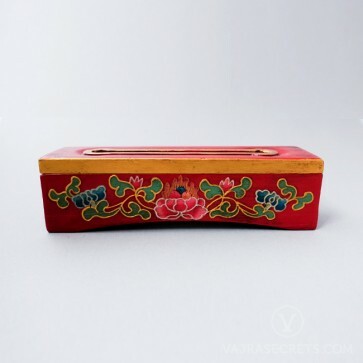 Handcrafted Tibetan-style wooden incense burner carved from Himalayan hardwood and painted with a delicate lotus motif. 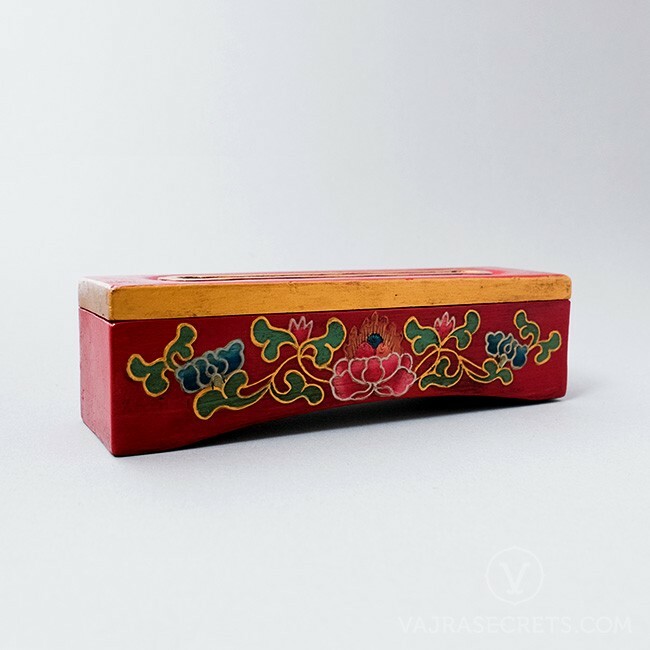 Suitable for Tibetan stick and powder incense. A handcrafted Tibetan wooden incense burner carved from Himalayan hardwood and painted in traditional colours with a delicate lotus motif.